When big-hearted people heard about orphans in generations past, the first thought was often toward construction of a large institution that could house hundreds of children. That’s frequently true today, too. And little wonder. 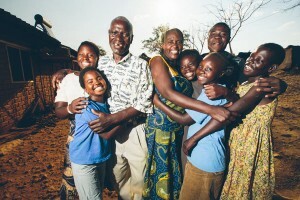 In the face of vast need, we yearn for solutions that can help many-at-once, not just one or two at a time. But more and more, social science is confirming what Scripture has always taught: God designed family as the best place for a child to grow. Of course, like every area of deep human need, this is complex. In many parts of the world today, well-run children’s homes provide a vital alternative to life in abusive homes or on the streets. Emptying these residences without healthy alternatives firmly in place can be deeply harmful. Likewise, therapeutic group settings can play a vital role in helping children with intensive needs to heal. And studies of young adults who grew up in U.S. foster care make painfully clear that the quality of care, not just the kind of care, matters immensely. Yet these important caveats shouldn’t obscure the ideal. We can honor the devoted care and protection provided by quality residential care facilities…while also pressing forward together toward care that is as close as possible to the ideal of safe, loving, permanent family. Many ground-breaking Christian organizations today are doing just that. They are looking hard at their existing programs and asking, “How can we give these precious kids more of family?” They are making bold shifts in their old models of care and pioneering new ones. Change and innovation are never easy. But these case studies prove that they are possible. And innovative Christians are helping lead the way. You can also hear in-depth discussion from leaders of three of the highlighted models on this week’s CAFO Webinar of the same name, available HERE or below. 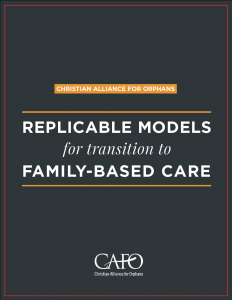 Replicable Models for Transition to Family-Based Care from Christian Alliance for Orphans on Vimeo.